Unlike the service man from the Maytag appliance company (founded by native Iowan F.L. Maytag), HVAC technicians are highly sought after in the Hawkeye State. HVAC technicians in Iowa make an annual median average salary of $47, 290. Top-paid technicians making approximately $73,810! A large HVAC workforce and higher pay than the national averages give mechanically-inclined Iowans a good reason to explore the HVAC and refrigeration field. Below we look at the different kinds of licenses required to perform HVAC work in Iowa and details on acquiring these licenses. Ready to jump right in and get your hands dirty? Finding a licensed HVAC contractor willing to let you work under a journeyperson or master level technician will allow you to obtain an apprentice license and begin work in the HVAC industry. An apprentice must work under a journeyperson, or master level technician He or she cannot perform HVAC-related work for unlicensed contractors. To become an apprentice you must be 18, submit all required paperwork, and provide proof of being enrolled in an apprenticeship program. Once you have all that in place, submit it to the Iowa Plumbing & Mechanical Systems Board. If you wish to become proficient at HVAC repair work before you enter the industry, the Service Technician HVAC Specialty License may be for you. This license allows you to repair or replace the components of, and immediately related to, an HVAC system. Most people get this certification by attending a technical college or an accredited institution in Iowa. Look for a school that trains HVAC personnel and provides North American Technician Excellence, Inc. (NATE) certification. If you already possess a journeyperson license in another jurisdiction, you may be exempt from the exam. A journeyperson performs higher level tasks than apprentices, supervises licensed apprentices (if they work under the same licensed contractor), and works under a master level technician. Journeypersons are not allowed to perform work for unlicensed contractors or supervise unlicensed persons. Once a journeyperson has two years of work experience, they may test for their master level technician license. First, you need to submit the proper paperwork and application to the Iowa Plumbing & Mechanical Systems Board. 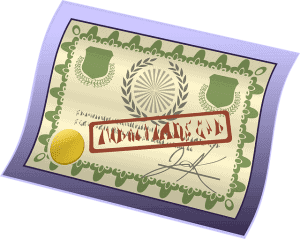 A master license may also be acquired if you already possess a master license in another jurisdiction. Master HVAC technicians may only work for one contractor in an HVAC master technician capacity. Master level technicians may not work for unlicensed contractors or supervise unlicensed persons. Of course, there is always the risk of the master technician leaving the business or losing their license. The contractor must notify the board within thirty days of losing their master level technician. In that case, the contractor then has a six-month grace period to provide the board with proof of employing at least one licensed HVAC master level technician. To become an apprentice there is no examination. You must only show proof you are enrolled in an approved apprenticeship program and provide the required documents. The examinations for journeyperson and master level technicians are held at any one of the fifteen Kirkwood Community College testing centers located across the state. A fee of $99.00 is charged to take any of the exams. Additional information can be found at the Kirkwood Community College state disciplines exam page. For a chart of application fees based on the specific license sought and many other variables, please visit the Iowa Plumbing & Mechanical Systems Board licensure fee page. The HVAC industry is a highly regulated industry, and the Environmental Protection Agency is at the top of the list of government agencies regulating our industry. It is the responsibility of every HVAC technician, from beginner to veteran of the trade, to know EPA regulations and stay up to date in an ever-changing environment of rules and regulations. All HVAC technicians must be certified by the EPA to handle refrigerants. Please visit our EPA Refrigerant Certification page for more information. We hope this article gave you some insight on what it takes to enter the HVAC work force in the great state of Iowa. The Iowa Plumbing & Mechanical Systems Board section of the Iowa Department of Public Health website is a great resource for additional information. Please take the time to browse our entire site; you will find it is a valuable resource for information about a career in the HVAC industry.